Head over to Jawbone Support's Twitter feed and it's pretty clear that it's in trouble. Not only can you still not buy a Jawbone tracker from Jawbone itself but it seems it's not able to support its existing customers either. Since October, @JawboneSupport has been fending off "speculation" of its financial challenges, apologising for delays and telling customers that it has "no update at this time" with regards to individual enquiries. Sure, head to the replies on most customer care Twitter feeds and it won't look pretty, but what's remarkable is how long customers are waiting and how little Jawbone is doing. @JawboneSupport I have received a farcical, insulting email clearly indicating the author hasn't read my issues and doesn't care. Poor. @KelownaJulia Hi Julia, at this time we do not have an update to provide on your case. We will be in touch via email when one is available. And pestering Jawbone's Twitter minions seems to be the only way to get an answer. A commenter on Wareable posted that Jawbone hadn't responded to three weeks of emails about an issue with the band and that the customer care line was down. Plus a handful more readers have posted to say they've got no response. We rang the UK Jawbone customer care number and got an automated message: "Customer care is not currently being offered in the UK and European Union. We are working to revise this." And just not telling anyone? Well, it has been in a bad way for a while according to various reports, which claim the company has almost depleted its inventory of UP activity trackers, and that it failed to pay one of its customer service agencies. However Jawbone tells us that claims it is struggling financially have "no basis". An industry insider, who wanted to remain anonymous, told us that, "From what I was told, Jawbone had begun selling out all their stock to any bidders, not worrying about the consequences of MAP [minimum advertised] pricing. "When a brand starts selling to whomever and begins to not care about MAP pricing, they have essentially given up," our source continued. "Admitting that defeat is another thing entirely though, as that makes them liable for all the stock and returns that have been boughten by retailers, as the chances of these retailers selling stock of a company that has 'gone under' is slim. Lastly, losing the lawsuit to Fitbit surely didn't help them." Business Insider ran a story in late September saying it saw an internal email send by a NexRep exec to employees confirming Jawbone had ended its relationship with customer service agency NexRep, stating Jawbone is "struggling financially" to pay the company for its services. The end of the partnership has reportedly led to many job losses at NexRep. "Jawbone is not able to pay us for part services, and their ability to pay is in the future is uncertain at this point," the email is quoted to have read. But Jawbone told us in September that NexRep didn't have the evidence to make such claims. It also said that the relationship is not over. "NexRep was informed we are reviewing their invoices," it told Wareable in a statement. "They have no basis or knowledge from which to make the statement that Jawbone is struggling financially and couldn't pay NexRep for its services. That statement is untrue. Jawbone is restructuring its customer service relationships, as previously reported." Read next: Can wearable tech companies really change our behaviour? 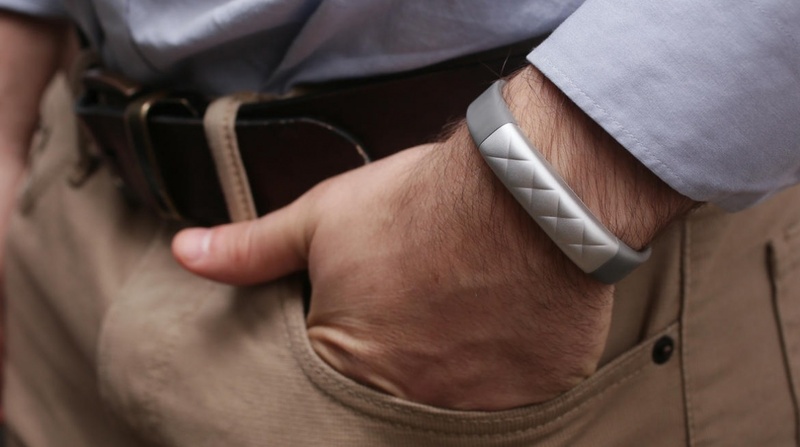 As for the concerning sign that Jawbone trackers have now been "sold out" for months, a source quoted in the original report said that inventory shipments had ground to a halt, making it difficult for NexRep to replace defective or damaged units. But Jawbone told us that "NexRep does not and never has had 'access' to Jawbone product inventory." The company added: "They advised a third party service provider who then took care of customer replacement products. That type of service is still in place." Although that doesn't explain the lack of stock currently available. Jawbone also told us there are "no current plans" to sell the company. In August, there was a rumour that company was looking to sell its business entirely, although Jawbone quickly dismissed the claims then too. So, the plot thickens. The company is said to be working on a medical-grade wearable right now, which could have a mid-2017 release date - if the company can find more investment. Obviously there's now a question mark over whether it will make it that far. It's a shame if it does go that way, especially as we highly commended its tracking, sleeping and coaching software in our 2016 Wareable Tech Awards. Are you trying to resolve an issue with Jawbone? What responses have you had? Let us know in the comments.